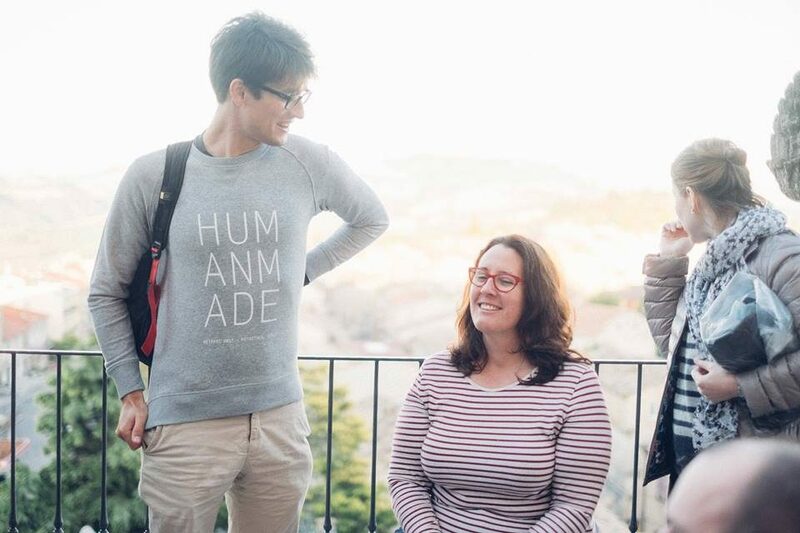 Human Made is looking for a Product Analyst to join its Product Team. We are a fully remote company with employees all over the world, including Australia, India, the UK, the USA, Spain, Indonesia, and Japan. This is an opportunity to join a small team that is responsible for the company’s products. Human Made is a supportive and diverse company, with a range of benefits that includes flexible working, remote work allowance, generous holiday entitlements, a computer and phone every two years, and an annual company retreat (this year’s was in Sri Lanka). You can learn more about Human Made and our HR policies in our public staff handbook. Nevena (Business Development) and Shin (Director of Client Services Japan) at a product workshop. What does a Product Analyst at Human Made do? As a Product Analyst at Human Made you will be responsible for carrying out research and analysis for the Human Made products and services. This will include internal research, research on competitors, and research on new features and service offerings. You should be confident conducting research using varied methods, including competitor research, identifying suitable internal and external data sources, interviews, and data analysis. You should be proactive about finding new tools and methodologies for research, and sharing what you’ve learned with the rest of the company. You should be comfortable reading, analysing and manipulating data, and be able to communicate that data across the company so that it is easily understood. This includes writing detailed reports, keeping the product team and other teams regularly updated on calls, and other written updates to the company. You should have excellent written and verbal communication skills, with good attention to detail and an ability to pick up on discrepancies and errors. You will be expected to collaborate with different teams across the company, conducting research to identify ways that we can make improvements to our products and services for clients and engineers. This will include speaking to clients, engineers, project managers, and account managers, to identify pain points and then researching possible solutions to any problems. You should help to translate problems faced by engineers and clients into changes, working with the product and servers team, and clearly communicating the motives for those changes. You will be a key member of the Product Team working closely with your teammates to develop Human Made’s products and services. You should maintain good working relationships with people across the company. Human Made is a growing company and there will be opportunities for growth outside of your Product Analyst role, so you should be proactive in tackling new challenges that are of interest to you. 2+ years working in Strategy & Operations, Business Intelligence, Product Management or Consulting. Previous experience working for a technology company. Experienced problem solver who can take data and tell an insightful story to drive product improvements and recommendations. High level of energy, enthusiasm, and commitment to performance and learning new skills. Self-directed and independent. Bonus points for having had a successful previous experience working remotely and/or with remote teams. You can apply by filling in this form, sending us your resume, and telling us why you think you’d be great for this job.